Home Cebu Pacific Promo Octobre mo'to! For those who didn't get lucky on booking a Php12 flight for next year then how about this latest low fare for this month! 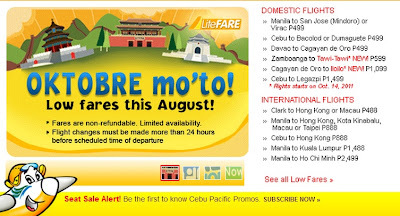 Yes, again and again Cebu Pacific does make us smile and yes be ready with your credit cards cause seats are limited only! There are new flights as well like Zamboanga to Tawi-Tawi which is only at Php599 or Cagayan de Oro to Iloilo! 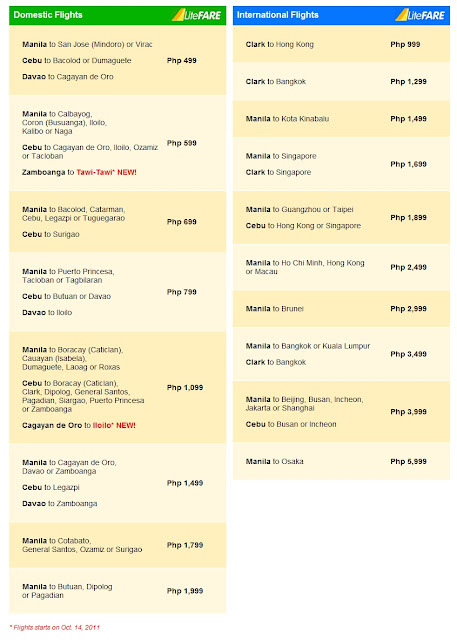 Cebu to Hong Kong, Kota Kinabalu, Macau or Taipei at Php888! 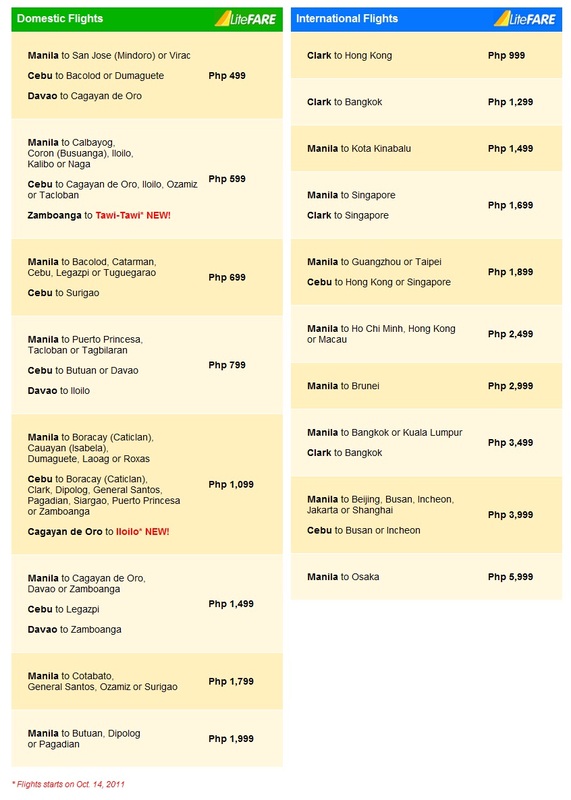 Here are the full list of fare prices for both Local and International flights.